Preservation Radio is a new podcast network, featuring long-form conversations with distinguished historic preservation professionals worldwide. 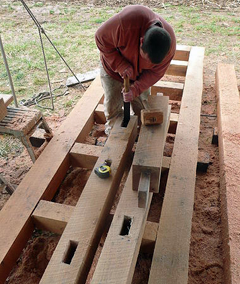 Alabama based Southern Timberwrights specializes in traditional English joinery. We believe in Old World craftsmanship, and the importance of maintaing our architectural heritage. These principles are evident in the quality and design of our frames. We offer custom design work as well as a willingness to work with your plans or with your architect. No modern technology comes close to matching the color and quality of aged wood. 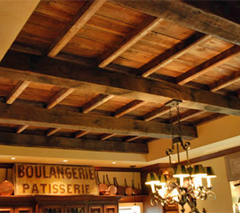 Whether used for flooring, walls, wainscoting or making furniture, Conklin's Barnwood & Beams' aged wood will bring back memories of days gone by. Turning wooden columns since 1987, Fagan Design & Fabrication, Inc. is an essential resource for historic preservation, restoration and period construction. Our true niche products cannot be found as stock items. Simply provide us with a drawing or a sample of your desired column or turning. We have the experience and expertise to complete your project on time and within budget. 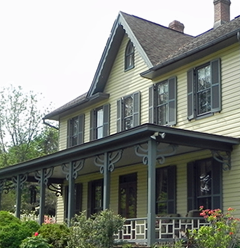 For over 30 years, Architectural Reclamation, Inc. has offered a wide range of historic building restoration services, primarily in the Miami Valley of Southwestern Ohio. Our specialty is finding sensitive, responsible and creative solutions to the many problems that arise in adapting old buildings to modern uses, while preserving the unique character and craftsmanship of each historic structure. 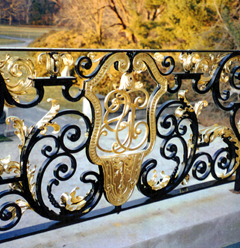 Historic restoration projects present unique challenges in trying to source designs to match original ornamental metal elements. Alloy Casting is equipped to duplicate antique or hard-to-find castings and can provide quantities as low as a single piece. Whether making a direct copy of an existing casting, or carving a new master pattern, we can help you finish your historic restoration with the parts you need. 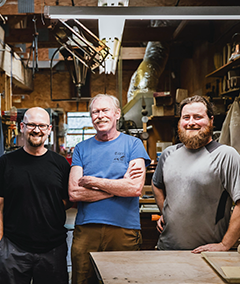 Old Wood Workshop, based in Pomfret Center, Connecticut, offers salvaged antique flooring, resawn or remilled antique flooring, wide board flooring and vintage recycled building materials in chestnut, oak and pine. Some of the original surface floors we sell were hand-planed and foot-worn over hundreds of years and are smooth enough to install and walk on without sanding. The Demolition Depot is a unique source of vintage plumbing fixtures, doors, windows, shutters, railings, gates, grills, mantels, stone and terracotta pieces, religious objects and so much more. Our fixtures are geared towards the re-creation and renovation of period places. Preserving our architectural history has led us to reclaim building elements at an unprecedented scale. 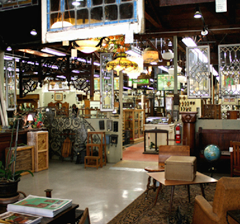 Revival Lighting is home to one of the largest selections of restored vintage lighting fixtures in the Inland Northwest. 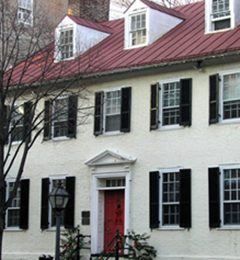 Traditional Builders, Inc. based in Annapolis, Maryland, is comprised of restoration craftsmen dedicated to the preservation of our historic architecture. 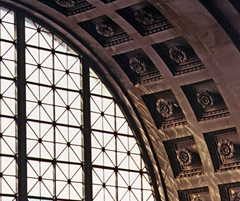 We offer the knowledge and experience to reproduce and repair the elements that compose this architectural legacy. From the common barn to the plantation manor we have the expertise to preserve or reproduce the structure in its entirety. All of Period Lighting Fixtures, Inc.'s fixtures are entirely handmade, from the drip on the wax coated candle covers to the hand forged suspension hook that conceals the wire. The fixtures are made with many of the same hand tools of the original craftsmen who were intent upon investing their skills and artistry in a product whose quality approaches the outer limits of commercial practicality. Artefact was established in 1987 by three architects seeking to create an environment where architectural elements and artifacts from the past could be uniquely displayed and purchased. We are conveniently located between Philadelphia and New York City in beautiful Bucks County, Pennsylvania. Our store is open to the public and situated in an 18th century stone barn with a half acre of formal gardens. Strosser Architecture & Conservation is a full-service architectural firm dedicated to the preservation of our region's cultural and natural resources. Strosser Architecture & Conservation projects blend traditional forms, materials, and time-tested building practices with the latest in computer-aided design tools, building information modeling (BIM), and sustainable technologies. They don't make things the way they used to, but you can find the things they used to make at ND Millwerk Salvage and Sales. We have made it our mission to keep vintage pieces from this era alive and well. In order to do that, we save old woodwork and hardware from old buildings on the verge of demolition. We’re left with beautiful Arts and Crafts, doors, floors and hardware, all available to our customers at a price that is both low and competitive. Olde Good Things specializes in Altered Antiques. Our salvage team collects an assortment of reclaimed materials and repurposes them into useful or purely aesthetic items. Our most popular ranges include our famous tin mirrors and panels, furniture and shelving and lighting pieces. 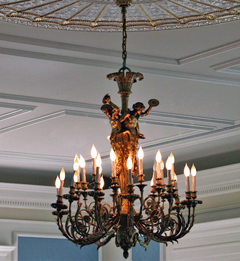 Deep Landing Workshop, based in Chestertown, Maryland, offers an extensive collection of classic period lighting fixtures, and specializes in custom work. Ogee, a full-service historic preservation consulting firm based in Austin, Texas, will guide you and your design team through each step of the process of securing state and federal historic tax credits. No project is too small for us. Please visit our blog for more information about historic tax credits. Stroh Architecture, Inc. originated in 1987 and has been based in Prescott, Arizona since 1992. 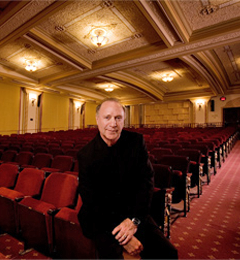 Principal Architect Douglas Stroh offers 40 years of professional experience. The firm has an extensive portfolio of commercial design and has significant Historic Preservation / Adaptive Reuse experience that has garnered design awards for its accomplishments. 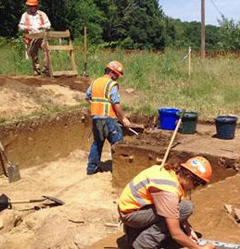 The Public Archaeology Laboratory (PAL),is a leading New England cultural resource management (CRM) firm. We offer services in the fields of archaeology and historic architectural survey, cemetery investigations, expert testimony, section 106, HABS/HAER, and state level documentation. Foam Factory Inc, based in Ft. Lauderdale, Florida,offers Classical Corinthian, Ionic and Doric Column Capitals in many sizes to fit round or square columns. Contact Foam Factory owner Stan Regent at 954.485.6700 to discuss your custom reproduction and architectural foam molded product requirements. Cross Creek Architectural Artifacts will soon have available a limited quantity of square, hand chiseled, reclaimed limestone from a 1921 structure. Contact Mike Hill at 417.860.4894 for full details and to pre-order. Flaherty Iron Works, Inc., of Alexandria, Virgnia, is a family owned business specializing in custom hot hand forged iron railings, light fixtures, and furniture since 1976. Their craftsmen are talented in the fabrication of brass, bronze, aluminum and stainless steel. 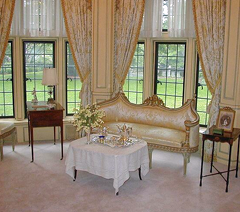 A & A Millwork, Inc.specializes in manufacturing architecturally correct wood windows for older homes and buildings. Our windows are not only designed to maintain your older home's appearance, but are built to last another 100 years or more! We take pride in every window we manufacture, subjecting each to a 20 point inspection before being shipped. Nearly a century ago in 1924, our family began making garage doors and became a major pioneer in the overhead garage door industry. Today, Fimbel Architectural Door Specialties' fourth generation is continuing the efforts started so long ago. Whether it be fine carriage house doors, architectural, commercial, or custom application overhead garage doors, we'll gladly work with you to design the door you require. John F. Graney Metal Design, Inc. is a custom metal fabrication studio specializing in the most demanding site specific architectural and ornamental iron projects throughout southern New England and New York. In collaboration with the client, contractor and design professionals, we produce work which fulfills all the artistic and technical goals of the project. 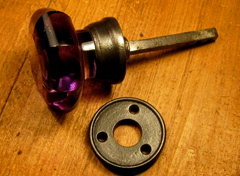 Our hallmarks are design flexibility, reliable engineering and uncompromising attention to detail and finish. Wrought metals heated in the fire and formed over the anvil are the root of all our work. The traditional methods of repousse, die forging, slit punching, riveting and collaring are interpreted in both contemporary and classic commissions. John F. Graney, Inc. is entering its fourth decade of service to the industry and looks forward to hear about your custom architectural metal or ornamental iron project. We invite you to visit us at our architectural metal fabrication shop, located in Berkshire County, in western Massachusetts. 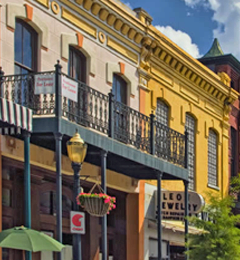 Residential properties within a historic district must obtain the approval of the Historic Architectural Review Board (HARB), or similar entity, prior to proceeding with window retrofit or modification. The QUANTAPANEL Architectural Low-e Storm Window has been reviewed and approved by a number of such entities throughout the U.S. for use on properties within their designated district. The addition of storm windows does not alter the original window in any way, a fundamental requirement of most HARB’s. 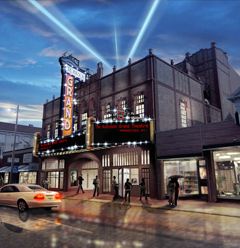 Historic property owners now have options. The QUANTAPANEL Insulating Glass System can be installed on the exterior in a color and style that is consistent with the original window. Optionally, the QUANTAPANEL System can be installed on the interior, providing a completely unobstructed view of the window from the outside, and nearly indistinguishable from the inside. In either case, the functional performance benefits desirable for comfortable living can be achieved. Innerglass windows are "The Perfect Storm" for insulating historic homes and buildings. The standards that define a "historic" home or building are very specific. The original window units are part of the building’s historic integrity and replacement of these windows is strongly discouraged. The guidelines specifically say, "If the original windows are in place, repair and retrofit of these windows is preferred." That’s where Innerglass comes in. Because our windows compression-fit inside of the stops of the primary window, there is no need to disturb the integrity of the original windows. And because each of our windows are custom made to fit the exact measurements of each window, they are extremely efficient for windows that are no longer square, which is very often the case with historic homes and buildings. Deep Landing Workshop was started in 1963 by Joseph and Cynthia Ramsey. They had moved to the Chestertown on the eastern shore of Maryland in 1960 with their sons John, Ted, & Bob. Joe had intended to start a tool and die business, but changed direction when someone commented on how difficult it was to find quality period lighting. Cynthia was the artist of the team, while Joe was the craftsman. Cynthia took chandeliers and sconces from the historical record and refined the designs and scaled them for contemporary houses. Joe figured out how to produce them. In 1967 he patented what we now call the”wireless” hook. Their son, John, took over in 1977. He combines the artist ability of his mother and the craftsman ability of his father. In a few years he doubled the size of the “plant” by closing in the tractor shed next to the original 18” by 18’ workshop. In 1989 John signed on with Rist in the Washington Design Center, limiting sales to the trade. In 2002, he and his small crew moved into a new luxurious shop and showroom. About the only amenity lacking is a shower. That is so John has to go home. PAL, Inc. established in 1982, is a private, not-for-profit, corporation based in Pawtucket, Rhode Island. We provide a full array of cultural resource management (CRM) services. Our primary service area extends throughout the Northeast, but we often conduct projects in other regions of the United States and the Caribbean Islands. We fulfill our mission by actively promoting stewardship of cultural resources through educational programs that engage the public and raise awareness about the value of our nation’s cultural heritage. 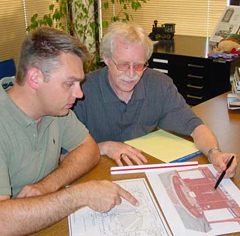 We assist our clients in successfully navigating complex historic preservation review and planning processes by providing expert consultation services and historic resources documentation. Clients rely on PAL, Inc. for our ability to rapidly mobilize staff and resources to conduct cultural resource surveys, preservation planning studies, eligibility determinations, environmental impact assessments, regulatory compliance, and consultation. Woolen Mill Fan Company LLC produces traditional belt and pulley and direct drive fans. Built from patterns used in the 1976 Smithsonian exhibit, they will evoke mystery in any interior. Woolen Mill Fan Company LLC's objective is to recreate an environment that is as timeless as it is mysterious. The only way to achieve this is to be sensitive to the entire fabrication process. Antiquated designs are carved out in a small pattern making shop. An Amish foundry and machine shop give the work the mystique of character. 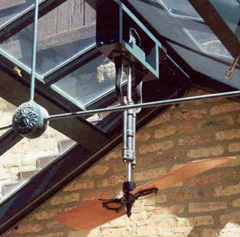 The fans are then hand assembled in our studio to fit your specific design needs. Nowhere is there a hint of mass production – not even in the shipping crates. Our success has caused other companies to attempt to copy our designs. They have offered to make our fans with the most modern techniques of mass production. Be assured that when you buy a Woolen Mill Fan you are not purchasing an assembly line clone. Slate And Copper Sales Co® offers the most complete range of copper products that add elegance and class to any home. We specialize in old world historic European profile half round gutter, different from modern American profile half round. Our seamless-weld downspout and “smooth” elbows, (no folds or crimps) deliver elegant, durable, high performing rainwater drainage. All of our Architectural copper designs, such as Cupolas, Finials, Leader-Heads, Dormer Vents and Historic Reproductions are fabricated to order right here in the USA. Our World Gutter System is the highest quality and most economical roof drainage system. With perfectly fitting pieces, the World Gutter System is also the easiest to install. 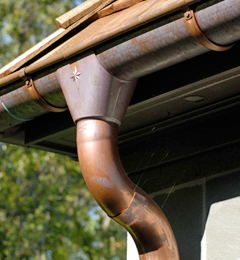 This copper rain gutter system offers not only exceptional strength and durability, but absolute beauty and design. All of our gutter components are also available in zinc- a beautiful, less costly alternative to copper. Stroh Architecture, Inc. originated in 1992 in Prescott, Arizona. Principal Douglas Stroh offers 42 years of professional experience. 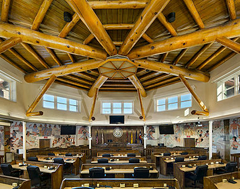 The Firm has successfully completed numerous projects for governmental clients including over 100 projects for Native American Communities. Stroh Architecture, Inc. practices sustainable design including Energy Star certified projects. Our projects are well known not only for their design achievements but also for their client compatibility, durability, passive and active solar strategies, energy efficiency and low water use. The firm has an extensive portfolio of commercial design and has significant Historic Preservation / Adaptive Reuse experience that has garnered design awards for their accomplishments. At Elmwood Reclaimed Timber we have a deep respect for the creations of nature, as well as for those passionate craftsmen who, generations ago, carefully wrought classic materials from nature’s offerings. So, our production process is slow and intimate compared to the warp speed and detachment with which many building materials are made today. The wood has waited for us; the least we can do is treat it right. Again. Wood from old-growth forests is more compact, more solid than new lumber. 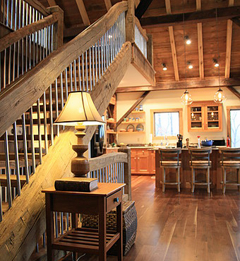 All of our lumber is superior quality, first-growth cutting, and it’s reclaimed from old barns and buildings. We’re way behind the times when it comes to cutting wood. Or corners. Reclaimed building supplies take extra effort to procure and process. We always go the distance when it comes to quality materials and workmanship. With twenty-plus years of experience, we at Pasadena Architectural Salvage feel that, now, more than ever, architectural salvage offers real value to the customer. And being in Pasadena, California, a city with some of the Nation's most active preservation and historic associations, only enhances our mission of salvaging architectural antique items destined for the landfill. "Going Green"' is not just a catchphrase, it's our main objective. Our extensive inventory of salvage antiques includes mantels, lighting, stained glass, iron work, plumbing accessories, builders hardware and furniture representing the Arts & Crafts, Spanish Revival, Art Nouveau,Victorian and Mid-century Modern periods. We have many architectural antique items not shown on our website. Please contact us if there is something in particular you are looking for or have questions. Our website is updated daily! Mon-Ray, Inc. manufactures replacement and new construction windows, storm windows and storm doors, and porch enclosure window units for both the commercial and residential markets. Our business has been serving both of these markets for over 50 years. 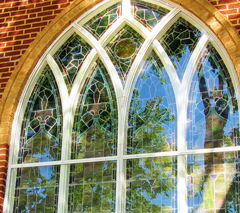 Mon-Ray, Inc. specializes in the preservation and restoration of historic windows and doors. 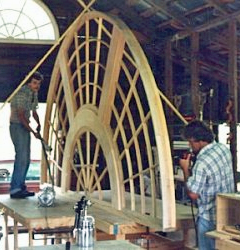 Using our experience, skill and special production equipment, we can match special and custom radius shapes, miter angles and muntin bar patterns to retain the original appearance of existing window or door openings. 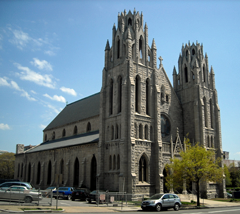 The preservation and restoration of historic buildings is vital to our national heritage. Over the last half-century our DeVAC and Mon-Ray windows have been installed in historic buildings throughout the United States. 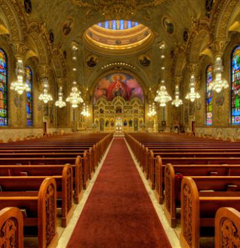 We work closely with architects, engineers, consultants and other professionals who specialize in historic restoration and preservation projects. Steven Handelman Studios, Inc.'s wrought iron products are hand made by skilled craftsmen, one at a time. We do not use prefabricated parts or assembly line techniques. We take care in the detail of our products. We also customize each product through the extensive choices we offer, including: finish, glass, size, and mounting configuration. 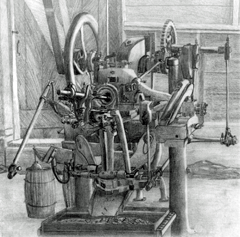 These production techniques and varied choices are unusual for the 21st century. We take great care in the preparation and finish of our wrought iron products and light fixtures. All welds are ground smooth, cracks are filled and slag removed. We use very strong paint as a base coat and hand apply each premium finish to achieve an authentic aged and elegant look. Any brass parts we use are sandblasted before the paint is applied to ensure a good paint bond. Because we are direct sellers, and do not wholesale our products, we can give our customers the advantage of direct factory pricing. Our goal is to provide exceptional value at a fair price for our unique hand made products. 4594 E. State Rd. 28 E.
Timeless Barn Company™specializes in adapting, reclaiming, repurposing, and restoring vintage barns into amazing personal and commercial spaces. Our company began nearly 20 years ago with a single barn. It was taken down, timber by timber, and moved to its new location where it became an amazing home. The company was created, and dismantling, restoring, and re-erecting pre-Civil War barns and turning them into homes became our passion. We have also expanded our product lines to include not only custom timber framing but basic packages such as our Colonial Saltbox Home, as well as furniture, flooring, and fireplace mantels. It is a great day when you walk into a well-preserved masterpiece that was built 180 years ago, and know that you have found something really special. Pristine original structures are the ultimate find and they make wonderful homes, commercial buildings, wineries, and studios. Suffice it to say...just about anything you can imagine, we can build.....and it all begins with a barn. 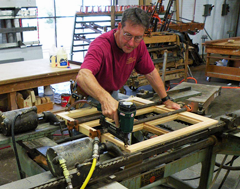 The Windowmaker Company has been manufacturing custom wood windows for historical restoration projects for 30+ years. We pride ourselves for having approval from the toughest historical boards. If you are looking for a source for custom wood windows for your home, or if you are a member of the historical restoration community seeking replicated sashes for your custom wood windows, look no further! The Windowmaker Company provides a full range of double hung, casement, transoms, sidelights and one of a kind windows in all sizes and design variations which are all engineered to your specifications. Our windows are all over the country, from the Custom House in Key West, lighthouses, Union Chapel in Martha’s Vineyard, universities, yacht clubs, etc. Interested in windows that will last a life time and are historically approved? TRU-CLAD has been used on large projects such as the 100+ year old Italian Club in Tampa. We’d love to discuss this option with you. As America's oldest nail manufacturer, Tremont Nail is in a position to offer the older patterns of cut nails appropriate to the period of restoration being undertaken. In addition to a variety of styles of nails, Tremont Nail can provide information to help the restorer in determining the authenticity of a project. Cut nails possess great durability. They are hard to pull out because the shape causes the wood fibers to push downward and wedge against the nails, thus greatly stengthening their holding power. Once you have used them, you will prefer them for all sorts of applications. For almost 200 years, Tremont Nail has achieved a reputation for skilled nail cutting that has made its product readily saleable throughout the markets of the world. Through all the changes and the hurried pace of modern industry the same product is still being produced for customers who prefer the superior holding power and durability of this time-tested nail. Allen Architectural Metals, Inc. offers comprehensive support in casting and metal fabrications along with superior client services for architects, governemental agencies, high-end developers, universities, hospitals and private residences. Since 1995 Allen Architectural Metals, Inc. has evolved in a nationally-recognized organization managing projects across the United States, with expertise in restoration, preservation and custom design building. Projects range from hand-carved historial replications to custom laser-cut designapplications. With offices in Alabama and New York, Allen Architectural Metals, Inc.'s services include historic site consultation, historical replication, custom castings, master pattern making, water jet technology, custom finishing services and much more. Ornametals, LLC fabricates EuroGutterUSA™, a proprietary rainwater system in copper and VMZinc®. EuroGutterUSA™ features half-round gutter and seamless-weld downspouts manufactured in a state-of-the-art production facility in Cullman, Alabama. The only system of its type manufactured in the U.S., EuroGutterUSA™ is a high-quality, durable "European-style" system. Distinguished from the "American system", EuroGutterUSA™ features "forward bead" gutters designed to tilt away from the fascia, and "seamless" pipe and elbows (not folded or crimped). 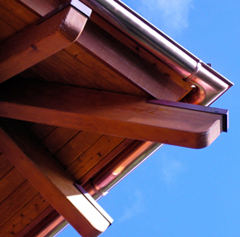 Our design results in a more durable and elegant product, the best choice for a lifetime roof. We provide a total rainwater system, including all accessories, and can fabricate custom rainwater-related products like radius gutter, moldings and specialty leaderheads (connector boxes). 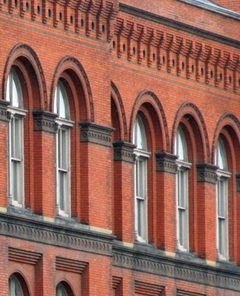 Ornametals also fabricates a wide range of architectural ornaments: finials; dormers; mansards; and other decorative roofing elements for both the contemporary and historical restoration markets. Over the last 40 years, Stephen C. Marshall "The Historic House Guy", has repaired thousands of traditional double-hung wood windows. We perform expert restoration of fixed and double-hung wood window sashes from the 18th, 19th and early 20th centuries. We serve the state of Connecticut only. 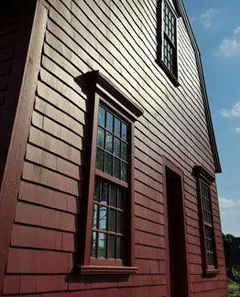 When our work is complete, your historic wood windows will operate like they did when new. They will raise smoothly, lock securely and be energy efficient. By installing high tech weather stripping and storm windows (interior or exterior), we will enable your historic windows to exceed the thermal performance of a modern replacement window. We can restore one window at a time, or those of an entire house, with minimum disruption to living spaces and routines. Should your project require incidental carpentry repairs or reproduction of historic millwork or window sashes, rest assured our long experience will enable us to provide sound, faithful work, identical to the originals. Your historic wood window sashes can work like new again. Call Stephen C. Marshalll, LLC "The Historic House Guy", and we'll talk about your traditional window restoration project.